The Palacio del Flamenco is located in an old theatre, in the center of Barcelona. It is close to many points of interest and easy to access by public/private transport. 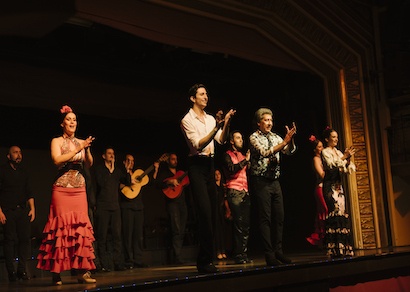 The venue offers, in addition to the Dining Room-Auditorium, a Welcome Hall with an interactive introduction to Flamen­co, called "Flamenco Experience" prior to the shows. The program consists of 3 daily shows of 1 hour each. A great variety of menus for dining is provided for every de­mand, such as vegetarian and Halal options. Before booking please choose the best option for you. You can choose to see only the show or also to have dinner. 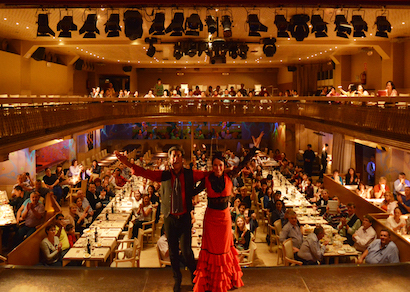 Bookings can be made via the Palacio del Flamenco website here or by phone. Enjoy the tour in Aquarium Barcelona with more than 11,000 organisms. Discover Barcelona sightseeing in few hours with Baja Bikes. 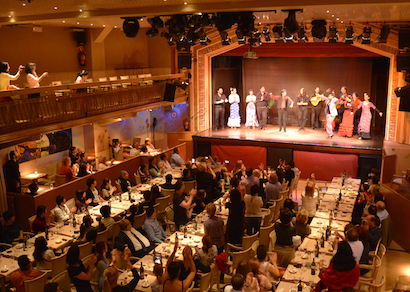 Pure and fusion Flamenco shows are performed by 14 best artists in Spain.